Last year, The A.V. Club launched a podcast, The Serial Serial, where we talked about another podcast, Serial. Unfortunately, when Serial went away after its first season, we went away as well. 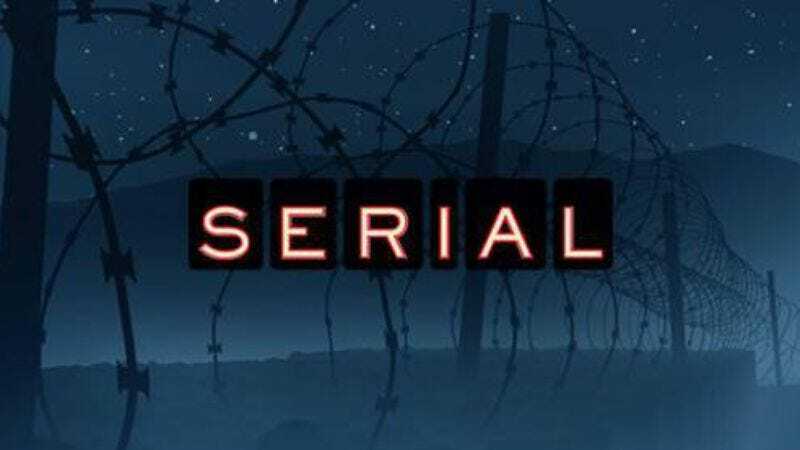 (We can only take so much Adnan Syed discussion…) Fortunately for us and for our loyal listeners, though, Serial returned just this morning, meaning that The Serial Serial is now back as well for its second season. In the episode below, Onion Editorial Director Josh Modell and A.V. Club Senior Editor Marah Eakin are joined by Onion video producer Gus Spelman to talk about all things Serial, what we know about Bowe Bergdahl, and whether or not we think we could figure out how to call the Taliban. The audio quality isn’t quite as good as the audio from our previous season, but that’s because we rushed to get the product out to you in a timely manner. (It’s still pretty good.) We promise it’ll be better in the future. As always, if you enjoy The Serial Serial, tell your friends, and then click on over to iTunes where you can both subscribe and review the show. We’ll see you next week with a second episode—assuming, that is, that Serial drops another episode then as well.